The family of a person going to aged care often want to know how not to pay a bond at a nursing home. Surprisingly, paying a bond is sometimes not actually required at all. A resident assessed as a low means resident, is not required to pay a bond. To determine if a resident will be assessed as low means, or not, can be complex. Please give us a call, we can often answer that question for you quite quickly. In regard to how not to pay a bond to a nursing home, I think it best if I briefly explain what a nursing home bond is. Nursing Home Bond ior Refundable Accommodation Deposit (RAD)? Since July 1, 2014, a nursing home bond is now referred to as a Refundable Accommodation Deposit (RAD). A RAD is a lump sum, often in the range of $300,000 to $700,000. An aged care home will request it as part of their fee structure (unless the resident is a low means resident). Even for a resident not assessed as low-means, it is also possible not to pay a bond to a nursing home, as there is no legal requirement to do so. However; if it is not paid, the aged care home is allowed to charge a daily accommodation payment (DAP). The DAP is based on an interest rate multiplied by the unpaid RAD. The interest rate at time of writing is 5.94%. the DAP on an unpaid $500,000 RAD, is $500,000 * 5.94% = $29,700 per year. the DAP on a 50% paid $500,000 RAD, is $250,000 * 5.94% = $14,850 per year. the DAP on a 100% paid $500,000 RAD, is $0 * 5.94% = $0 per year. It is also important to note that the RAD is government guaranteed and will be returned to the resident if they leave, or to the deceased’s estate if the resident passes away. Nursing Home Costs. Who Pays? Which brings us to the very important question of nursing home costs and who pays? An aged care resident is the first person responsible for their fees. However, most aged care homes will ask a family member or enduring power of attorney to sign a personal guarantee for the aged care fees. Therefore, if the resident’s bank accounts were to run out, the aged care home would demand that the guarantor now pay the fees. We often see that one family member is involved in assisting a parent into aged care. Other family members may be too busy, not interested, or simply do not want to get involved. Unfortunately, the one that does all the work, is usually the one that ends up having to sign the personal guarantee. Therefore, one of our roles is to protect this person and make sure bank accounts never run out. We strongly advise that the person signing this guarantee do not let anyone else jeopardise their financial security, by not taking aged care finances seriously. Because when things go wrong, the guarantor will be required to pay, and other family members may say it is not their problem. Please seek professional, experienced and licenced aged care financial advice. How To Avoid Selling the Home to Pay for Aged Care? Often family members want to avoid selling the aged cqare resident’s home to pay for aged care. There is no government or aged care home requirement that a person entering care must sell the home. Sometimes selling the home is the best financial option, and sometimes it is not. It is always important to compare different strategy and options. In fact, as an enduring power of attorney it is your legal responsibility to do so. The best way to avoid selling the home to pay for aged care is to have a carefully structured financial plan to pay for the various aged care fees. You need to consider if rental, government support, or other income, will be enough to pay the fees, or are there other financial assets to pay the RAD. It is also vital to remember that under current rules, a former home will be counted as an asset for Centrelink / DVA assessment, 2 years after entry to aged care. This is a point that is often forgotten, and the loss of Centrelink / DVA support can have a massive impact on aged care affordability, which brings us back to nursing home costs and who pays. 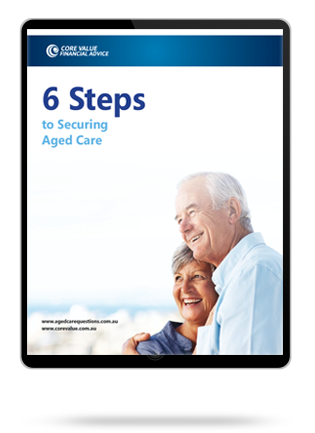 How to Reduce Assets for Aged Care? Families often ask how to reduce assets for aged care fee purposes. Their aim is to reduce the assets available, in the hope that Age Pension will increase, and aged care fees will decrease. There are ways to reduce financial assets, for example purchasing a funeral bond, or making sure that home contents are valued at fire sale value, and not replacement value. However, the most frequent question I am asked is can we transfer the family home, or can we give all of mum’s money away. This can be a financial disaster. Centrelink have gifting rules and transferring a home, or giving away mum’s assets are not only fraught with danger from a legal aspect, but Centrelink can continue to count the assets for assessment in any case. This is definitely an area to get expert aged care financial advice. Please be aware that accountants and solicitors may be experts in taxation and trust structures, but they rarely understand Centrelink’s complex aged care rules. The most effective way of reducing assets for aged care is actually the family home. If there is a protected person living in the home, then the home will be exempt for aged care fees and also Age Pension purposes. A protected person may be a spouse, a dependent child, a carer who has been living in the home for more than two years, or a relative living in the home for more than five years as long as they are receiving the required government benefit. Once again, it can be complex, so best to check with an expert.